After the vegetative phase of cannabis growing, the next stage is the flowering time in which the plants will start to bloom and produce buds. The flowering period is the time for you to decide whether you want only female plants that produce buds or you want to retain some males for pollination. Whether you want the weed plants for pollination or mainly for bud production, provide the plants with the necessary nutrients and light requirements. For great bud production, allow 12 hours darkness and 12 light hours. Waiting for the marijuana plants to flower may take longer or earlier, depending on the type of strain you are growing. As compared to indica types, the sativa marijuana plants can take longer to flower. During the flowering period of growing marijuana, the number of buds produced will largely depend on the light cycle, nutrients and of course, the seed genetics. If you want to maintain the high potency of the buds produced, growing marijuana should debone in the best grow environment and that would mean less stress inflicted on the plants. Stress caused by the environment, inappropriate humidity level, too much fertilizer or too much of the pesticides can affect marijuana’s bud production. Whether you are growing cannabis indoors or outdoors, feed the plants with the right amount of nutrients. 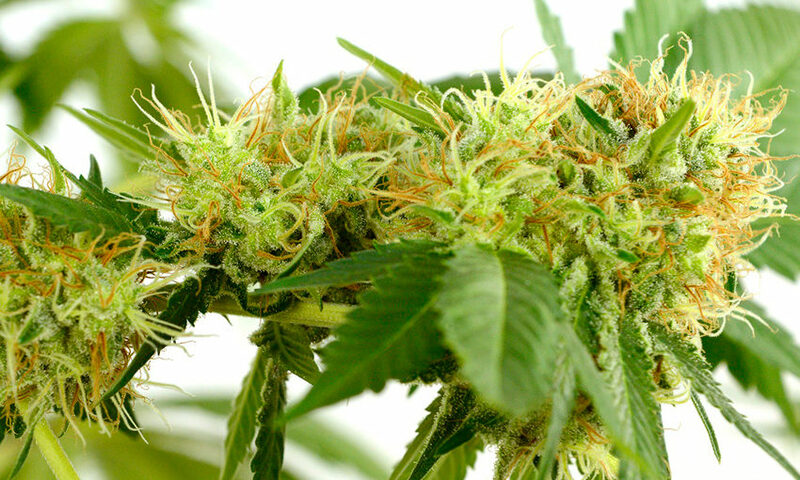 During flowering, marijuana needs more potassium and phosphorus. If you want to induce flowering in pot growing, subject your weed plants to 36 hours of the dark period. The long dark period will give the signal to the plants that flowering time should begin. When growing weed indoors, provide the plants with 12 hours of light and dark period. During dark hours, do not turn on the light because it can interrupt the budding process of marijuana. Keep the humidity level at around 30% to 40% in your indoor growing pot garden. Maintain low humidity. High humidity within the grow room will invite mold growth. Molds can grow on buds and eventually may destroy the entire pot garden. For maximum bud production, supply cannabis with the right amount and spectrum of light. LED light, HPS lamps, and fluorescents are excellent for the flowering time of cannabis. A lot of weed gardeners say that growing cannabis outdoors is easier than growing indoors, while others see it the other way. Although it is costly to set up an artificial light source, indoor growing has an advantage over growing pot outdoors. With indoor growing, the flowering time of marijuana can be induced and started earlier. For a complete growing weed guide, the Growing Elite Marijuana eBook can help those who want to learn more about how to grow weed indoors, outdoors and in any growing environment. Is UV Light Important during the Flowering Phase of Marijuana Plants? Copyright © 2019 by Growing Marijuana Tips.